A truck-mounted crane is frequently the better solution in many cases where loads have to be lifted. As a mobile solution, safety also plays an important role here. Therefore a load torque limiter controls whether the crane can still lift or not. 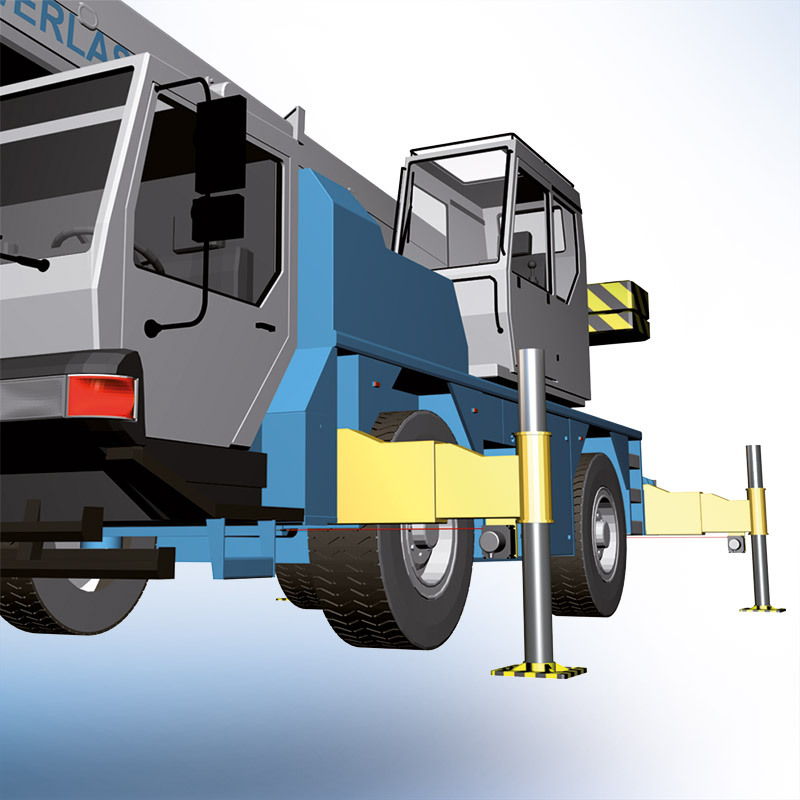 In order to ensure the maximum permitted load, the side crane supports must always be completely extended. If this would not be possible due to lack of space, the crane could not be put into operation. The dynamic process for measuring how far the crane supports have been extended facilitates a calculation of the permitted load capacity. Thus, the use of truck-mounted cranes can also be ensured where space is restricted..